Service South can help you with home automation in Atlanta, Brookhaven GA, Buckhead, Griffin GA, Marietta or McDonough. Home automation gives you more control over your equipment and devices and will make your life easier, more convenient and safer. 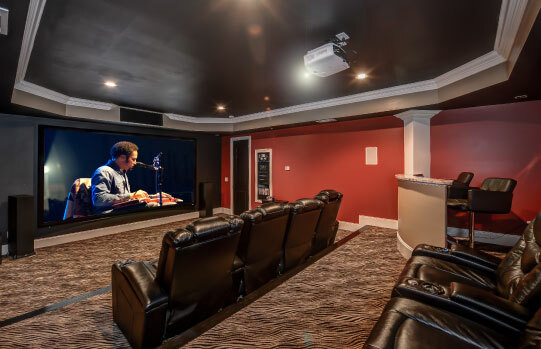 Home automation can give you remote control over lights, locks, doors, entertainment systems, heating and cooling systems and more. Wont it be great when you get home after work or a night out and the lights come on and light the pathway to your home as well as the inside of you home. Forgot to close the garage door, no problem, you can do it remotely. When you wake up in the morning the lights will slowly come on, gentle like a sunrise, coffee will start brewing and your favorite music or channel will start playing. Your security system will disarm, and the air conditioning will adjust. With home automation some things can happen automatically and other things you can control remotely. Home automation is the integration of devices and electronics into one main control. This means all the important systems in you home can be smarter. It’s no longer just your sprinkler system or you pool pump that operates on auto pilot. Home automation helps put all the systems in your home on auto pilot. This means your home’s climate, security, entertainment, audio, lighting, irrigation and more. Home automation also puts control and information in your hands. You can change settings on the go, get video feed and keep an eye on things, receive alerts and so on. Home automation make life more convenient, saves time, saves energy and makes your home more secure. If you want home automation in in Atlanta, Brookhaven GA, Buckhead, Griffin GA, Marietta or McDonough, then Service South can help.